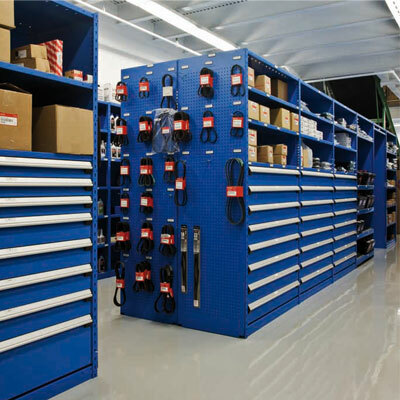 We sell and install shelving, racking, mezzanines, tire carousels, and more for your parts room. We can design and install a new parts room or update your current parts room. Call us for a no cost evaluation.